Submit slick offers using eSignature and online payment. 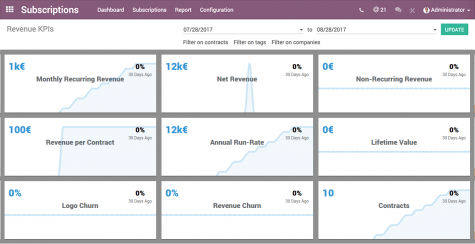 Odoo's customer-focused CRM displays your leads, sales opportunities and accurate forecasts. 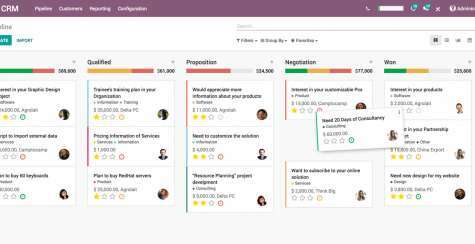 With Odoo CRM, you can plan activities with ease and organise your work. Manage contracts, process recurring invoices, bill for time sheets, and ultimately receive payments faster. 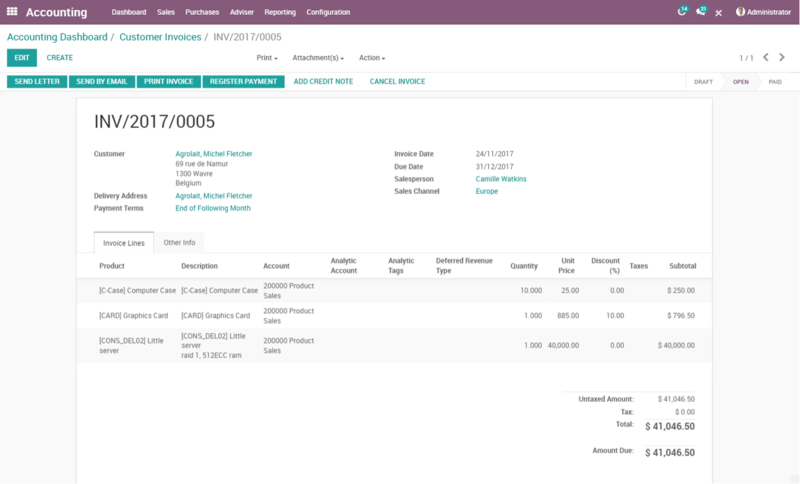 With Odoo Invoicing you can simplify your bookkeeping. 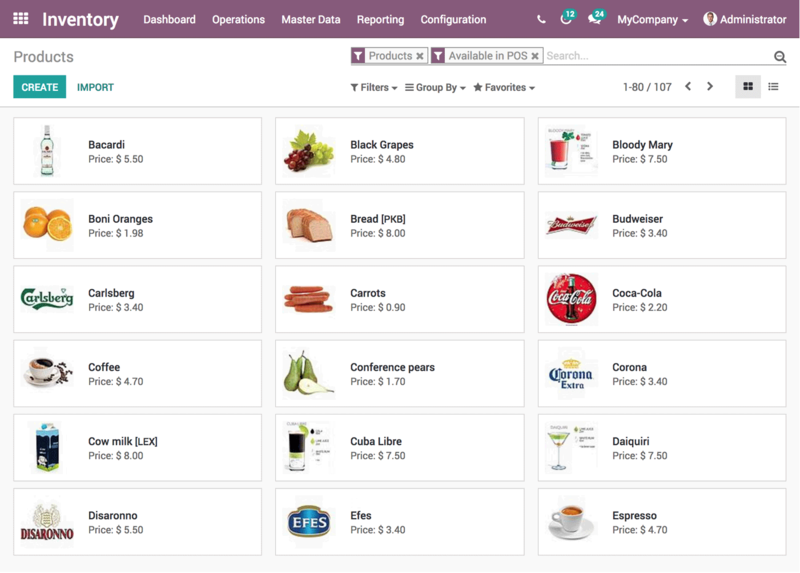 Odoo Point of Sales is the user-friendly payment processing solution for shops and restaurants and includes a customer loyalty program. 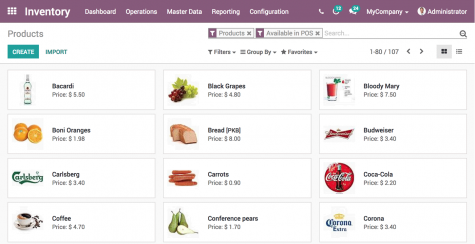 Odoo POS is compatible with different hardware. Whether desktop PC, laptop, tablets (iOS and Android) or industrial touchscreens - the choice is yours. 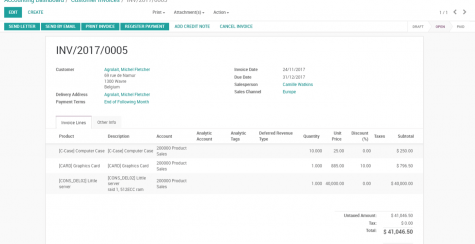 Simple contract management helps you automate recurring invoicing and subscriber management. 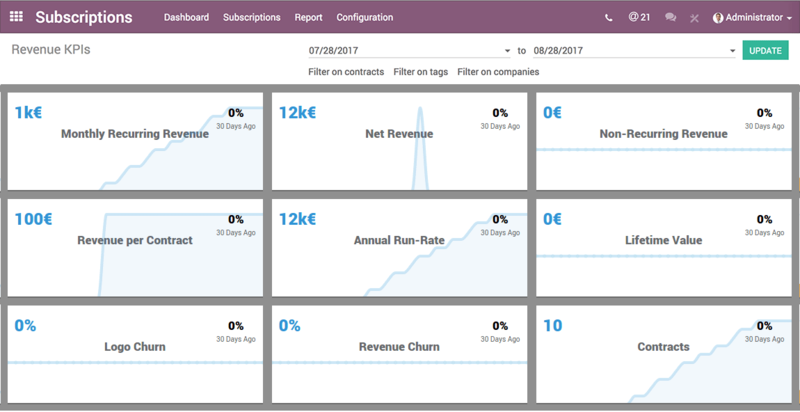 Send signatures with Odoo, sign and approve documents quickly and easily. Regardless if you are dealing with personnel, recruitment, sales, operations or tax and accounting, this module supports every level of your organisation and improves its efficiency.